Equally acclaimed as a pianist and composer, Michael Brown has been described as ‘one of the most refined of all pianist-composers’ (International Piano) and ‘one of the leading figures in the current renaissance of performer-composers’ (The New York Times). His unique artistry is reflected in his creative approach to programming that often interweaves the classics with contemporary works and his own compositions. Winner of a 2018 Emerging Artist Award from Lincoln Center and a 2015 Avery Fisher Career Grant, Mr. Brown is an artist of the Chamber Music Society of Lincoln Center, performing regularly at Alice Tully Hall and on tour. Mr Brown’s engagements have taken him across four continents, with regular appearances with orchestras such as the Seattle, North Carolina, Maryland and Albany Symphonies and recitals at Carnegie Hall, Wigmore Hall, and the Louvre. He was selected by pianist Sir András Schiff to perform on an international solo recital tour, making debuts in Zurich’s Tonhalle, and New York’s 92nd Street Y. A consummate chamber musician, Mr Brown also performs regularly with his longtime duo partner, cellist Nicholas Canellakis. Mr Brown has been appointed the Composer-in-Residence for the New Haven Symphony from 2017-2019, a position that includes a symphonic commission, as well as the opportunity to mentor promising young composers. He has also received commissions from the Maryland Symphony, Bargemusic, Concert Artists Guild, Shriver Hall, Norton Building Concerts and a consortium of three gardens including Wave Hill, Longwood, and Desert Botanical. He also has written for various performers including Osmo Vänskä and Erin Keefe, and pianists Jerome Lowenthal, Roman Rabinovich, Adam Golka, and Orion Weiss. A prolific recording artist, he can be heard as soloist with the Seattle Symphony and Ludovic Morlot in the music of Messiaen, and as soloist with the Brandenburg State Symphony in Samuel Adler’s First Piano Concerto for LINN Records. Other albums include an all-George Perle CD (Bridge), a début solo recording (CAG) and collaborative albums with pianist Jerome Lowenthal (CAG), cellist Nicholas Canellakis (CAG) and violinist Elena Urioste (BIS). This is his début album on First Hand Records (FHR). 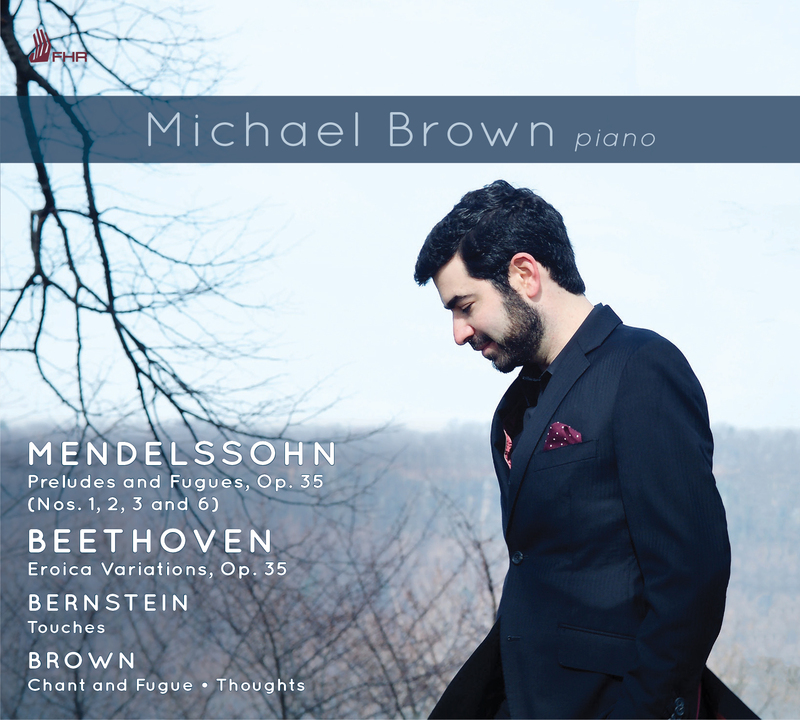 Mr Brown was the First Prize winner of the Concert Artists Guild Competition, the recipient of the Juilliard Petschek Award, and is a Steinway Artist. He has appeared in festivals such as Marlboro, Music@Menlo, Saratoga Performing Arts Center, Ravinia, Bard, Music in the Vineyards, Chamber Music Sedona, and Moab. 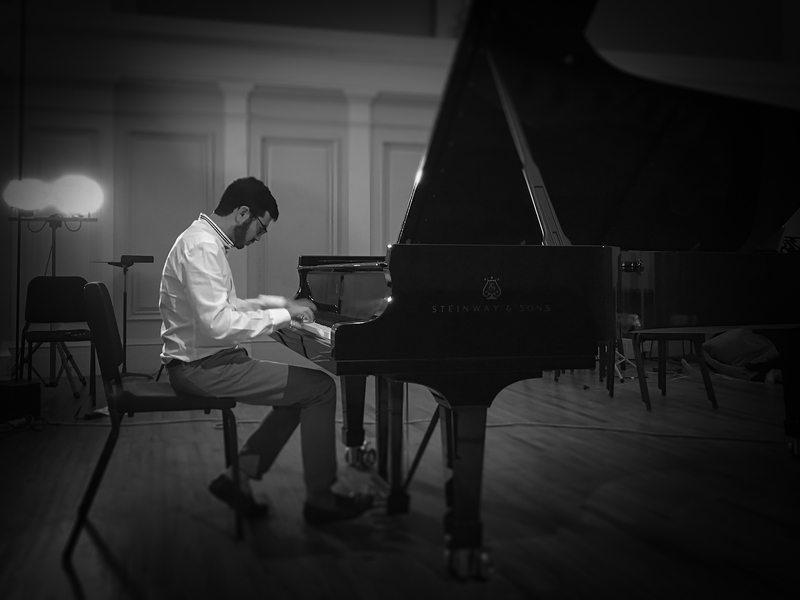 He has earned dual bachelor’s and master’s degrees in piano and composition from The Juilliard School, where he studied with pianists Jerome Lowenthal and Robert McDonald and composers Samuel Adler and Robert Beaser. Additional mentors have included András Schiff and Richard Goode, as well as his early teachers, Herbert Rothgarber and Adam Kent. A native New Yorker, he lives there with his two 19th century Steinway D’s, ‘Octavia’ and ‘Daria’.